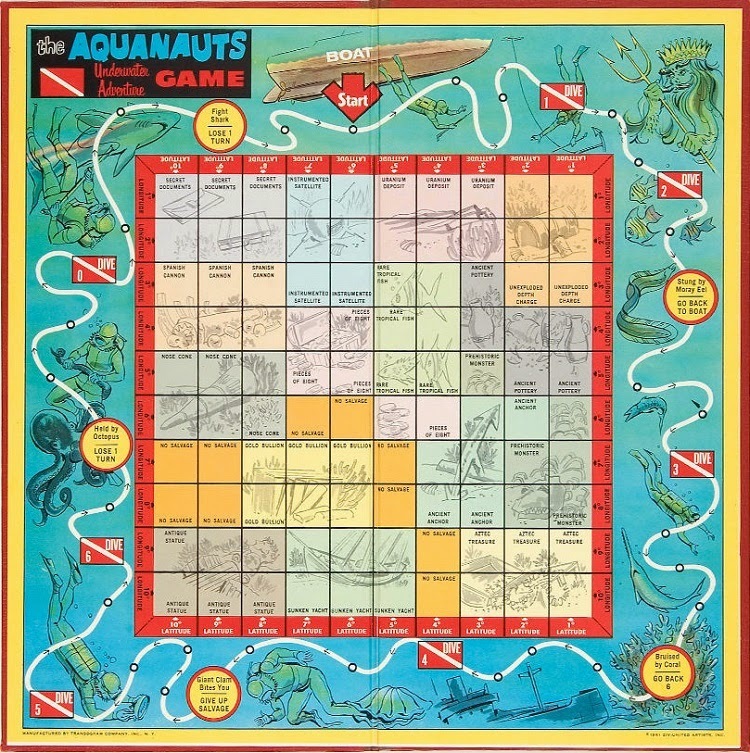 The Art of Diving: Roll Six for the Art of Diving. Roll Six for the Art of Diving. Here's something to keep the divers out there amused during their surface intervals. 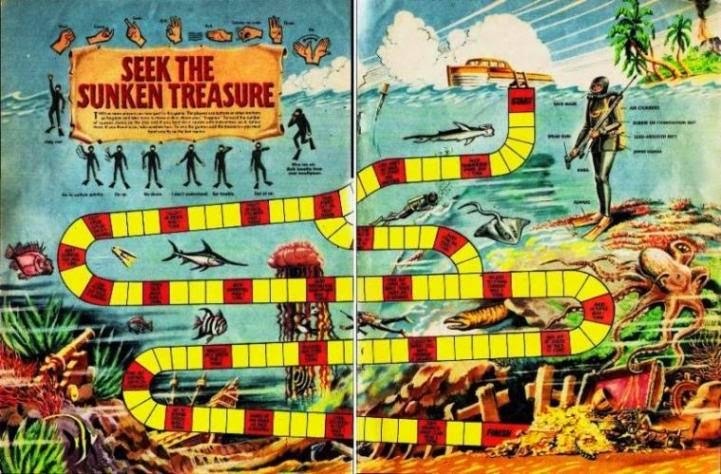 This game appeared in The Victor Summer Special 1970. Click on the single pages for larger versions. 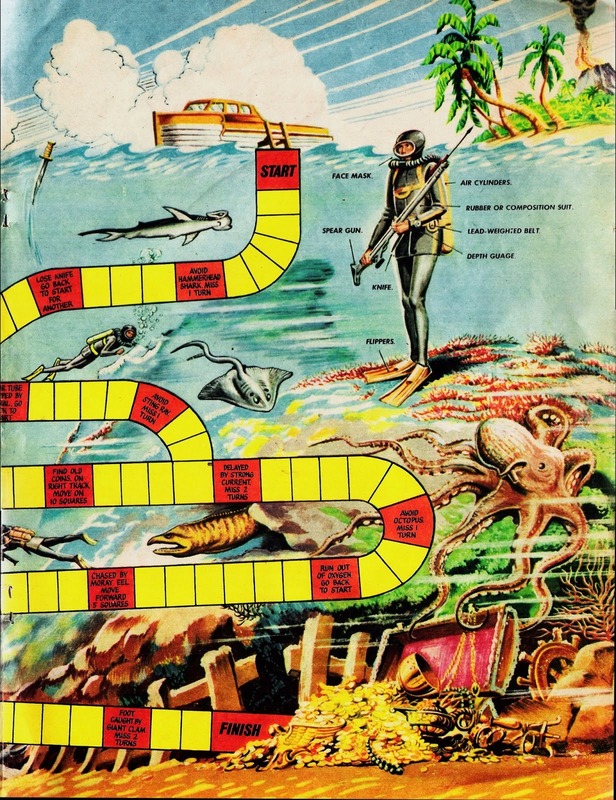 Don't get so caught up in the game that you forget to go diving though! 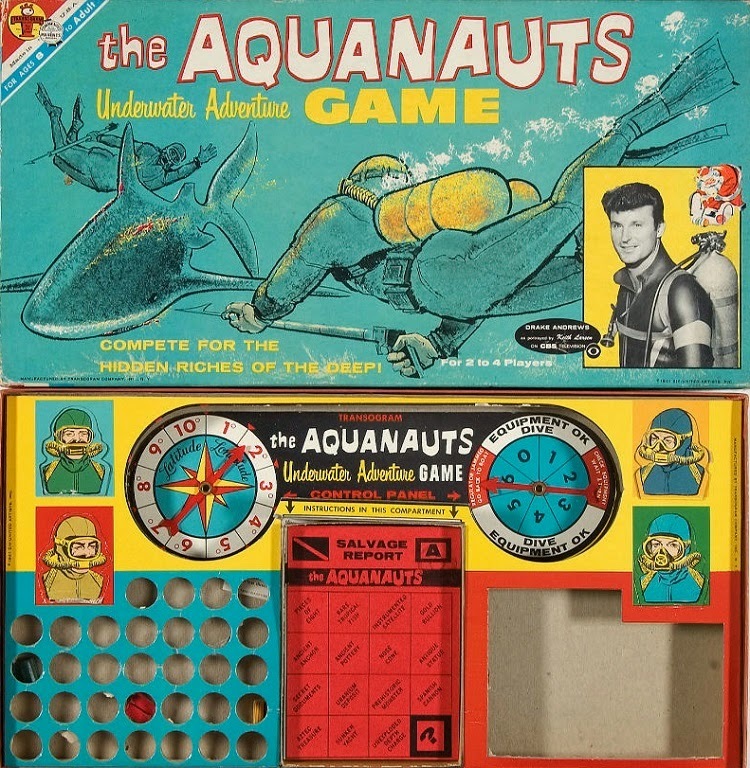 On the subject of games, this one was based was on the short-lived TV series The Aquanauts. 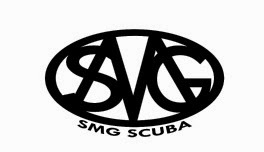 Broadcast during the 1960-61 season, the series starred Keith Larsen and Jeremy Slate as two Californian salvage divers. Ill-health caused Larsen to quit after 14 episodes and he was replaced by future Tarzan star Ron Ely. After a few more episodes the diving was dropped and the series was renamed Malibu Run. The show was unable to compete with the popular western series Wagon Train and didn't survive beyond its single season of 32 episodes. 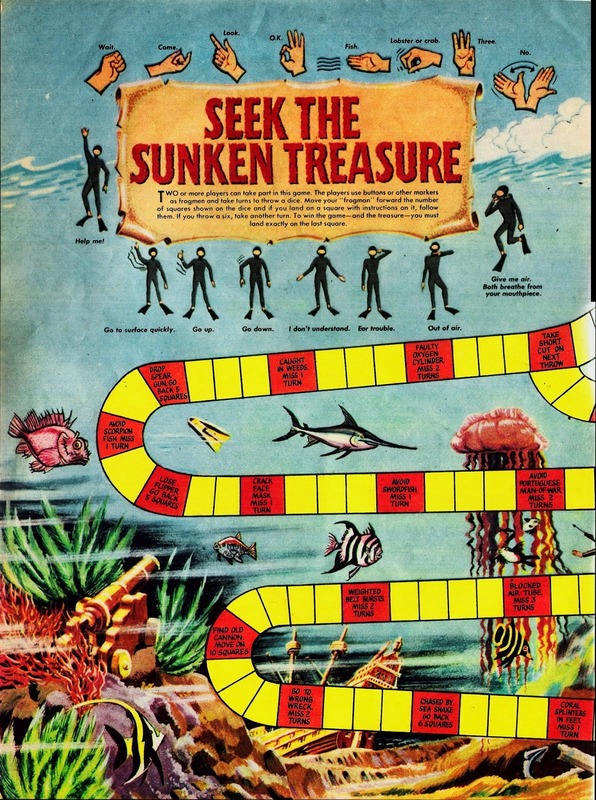 Finally, here's the box of the 1982 game, Lost Treasure.